Working with SWE over many years, we’ve learned that members really feel the Society is a part of their identity. They believe in the championing of women in engineering and technology which in turn inspired our membership marketing theme “I Am With SWE” and it’s double meaning: members are who they are in part due to SWE, AND they stand with and support SWE’s advocacy efforts through their membership. 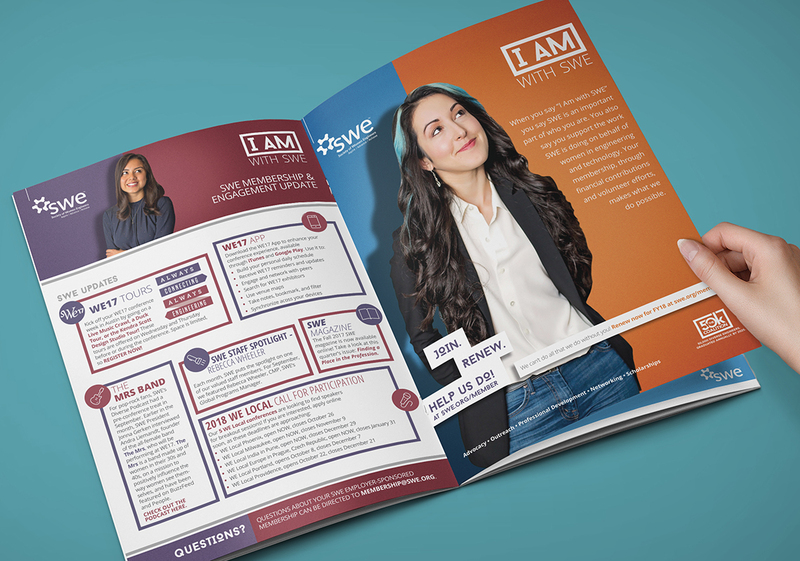 To create a new member engagement and recruitment campaign for the Society of Women Engineers (SWE), David James Group got to the heart of the society – the members themselves. 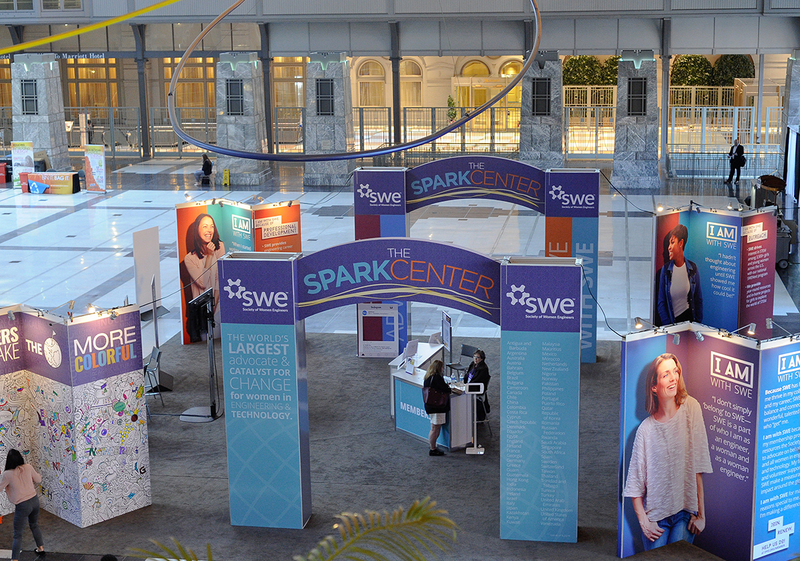 SWE has a passionate membership of more than 40,000 engineering students and professionals. Working with SWE over many years, we’ve learned that the members really feel the Society is a part of their identity. They believe in the championing of women in engineering and technology which in turn inspired our membership marketing theme “I Am With SWE” and it’s double meaning: members are who they are in part due to SWE, AND they stand with and support SWE’s advocacy efforts through their membership. To execute the membership campaign, DJG engaged members to recruit volunteer “models” for the campaign. SWE members serve as the face of the membership campaign – the colleagues, friends and role models of women in engineering. 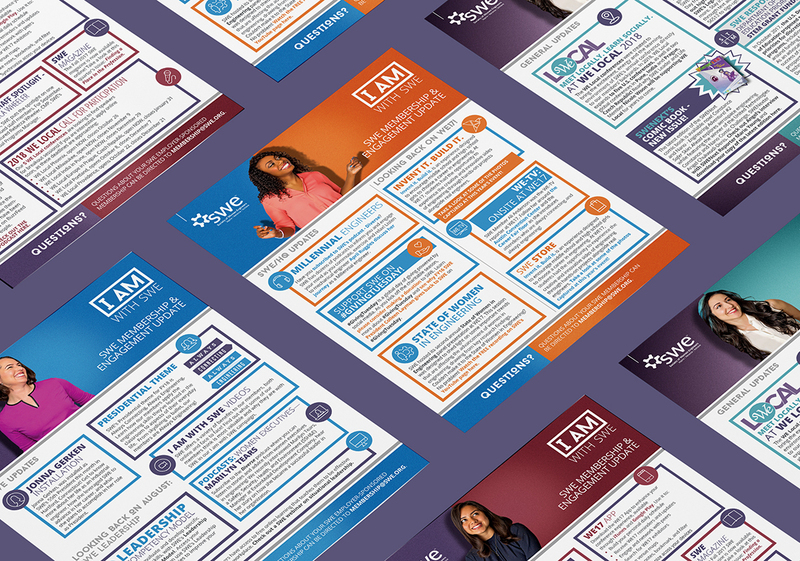 These women appear throughout all of our creative materials throughout the year including advertisements, email marketing, graphics, signage, marketing materials and conference promotions. We also interviewed our member representatives for video, podcasts, blog posts and social media content which is released throughout the year. Their member testimonials are the strongest endorsements we could put out about the Society. To round out yearly digital and print content, the campaign is implemented into SWE's annual conference and career fair - a visual reminder to members of the role that the Society plays in their personal and professional lives. The comprehensive member recruitment and retention marketing campaign connected with members across many channels in an honest, authentic way. It went beyond the traditional membership marketing campaign to give members ownership and share their stories. SWE accepted a 2018 Communicator Award of Distinction for the “I Am With SWE” membership marketing campaign. Email us or use our live chat feature below to learn more about how to cause a stir with membership engagement and recruitment campaigns. The David James Group is a creative branding and integrated marketing communication services agency. We partner with associations to increase their impact on members, prospective members, and their cause. Have a question or interested in working together? Use our live chat feature below to discuss your goals with us.